Opera Orchestra Returns, Turns 40! 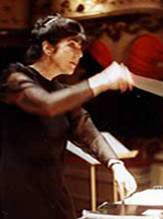 The Opera Orchestra of New York has announced that it has received a $250,000 donation from Dr. Agnes Varis, a New York based philanthropist who has also given generously to the Metropolitan Opera. The money will be used to finance the OONY's upcoming concert performance of L'Africaine. Company director Eve Queler is hoping that the March 2 performance will jump-start a revival for the troubled Opera Orchestra, which has gone dark for the past few seasons due to a lack of financial support. The performance will be given in honor of Dr. Varis' late husband, Karl Leichtmann. Written in 1865, L'Africaine is the final opera written by Giacomo Meyerbeer. He died before its premiere. It is an account of the Portuguese explorer Vasco da Gama and his unsuccessful (and entirely fictional) relationship with an African princess Selika. A true example of Parisian grand opera, it requires every resource of an opera company's scenery department (the shipwreck scene alone is a director's nightmare) and a huge orchestra and chorus. The concert will also mark the OONY's 40th anniversary. L'Africaine was first performed in New York in 1865. Due to its vast requirements, the work has been heard infrequently since. It was last performed in New York as L'Africana with tenor Richard Tucker as da Gama during the OONY's initial season in 1971. This concert performance is scheduled for March 2, 2011 at Lincoln Center's Avery Fisher Hall. Veteran tenor Marcello Giordani, a regular at the Metropolitan Opera, will sing Vasco da Gama. Soprano Chiara Tagi makes her U.S. debut in the role of Selika. 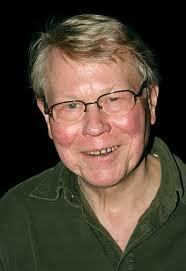 The great Matti Salminen, appearing as the Grand Inquisitor in Act IV of a Salzburg production of Verdi's Don Carlo. This is the Inquisitor's first scene, where he confronts the King about the rebellious nature of his son Carlo and Carlo's friend Posa. The role of Philip is taken by Ferruccio Furlanetto. This talented, veteran bass will be singing the role of King Philip II in the Met's upcoming new production of the Verdi mega-opera. Herbert von Karajan conducts. "Wagner's music is much better than it sounds." 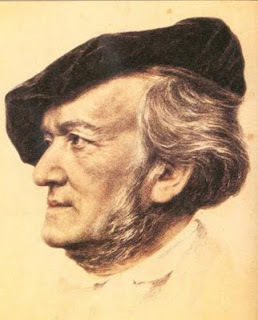 Richard Wagner wrote ten really great operas. And one "stage-consecrating festival play." But even so, the Meister could drag on for a bit here and there. Here's a tongue-in-cheek guide to ten "rough spots" in his works. Chronological order, and no opera is spared. 1) Der Fliegende Höllander: The Act II duet between Senta and Erik, followed by her long first meeting with the Dutchman. No wonder she jumped. 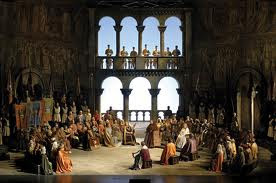 2) Tannhäuser: The Song Contest in Act II. Well, at least until the title character busts out his harp and starts singing the praises of Venus. Given the quality of the other arias on offer, can you blame him? 3) Lohengrin: Middle of Act II. Following the terrific Ortrud-Telramund and Ortrud-Elsa scenes, it's necessary to set things up onstage for the big wedding procession. This leads to some trumpet fanfares, a march, and a lot of note-spinning. 4) Das Rheingold: I might be biased here having seen Rheingold wayyy too many times. But I would go with the long scene in Nibelheim where Alberich beats up his brother to show what an (invisible) badass the Ring has made him into. 5) Die Walküre: Sieglinde's panic attack in Act II, where she thinks the dogs are after her. Comes right before the Annunciation of Death scene which wakes the audience back up. 6) Tristan und Isolde: The long scene with Kurwenal and the Shepherd in Act III is a snoozer. Brangäne's Watch-tower Song can put you to sleep, but if the singers and orchestra are doing their job you should be having an out-of-body experience at that point anyway. 7) Die Meistersinger von Nürnberg: At four and a half hours, there are a lot of candidates. Here's three: David's long list of "tones" in Act I, Beckmesser's "limping" scene in Act III, and the final oration by Sachs, which Wagner wanted to cut in the first place. 8) Siegfried: The long scene between Wotan The Wanderer and Alberich at the start of Act II. These two characters hadn't met since Das Rheingold--you think they'd have something more interesting to say to each other. 9) Götterdämmerung: Hagen's Watch in Act I. The first half is great, with the bass hulking onstage and plotting evil. The second part, with the scenic (nocturnal) transition back to the Valkyrie Rock, can knock you right out. 10) Parsifal: The first half of Act III when Gurnemanz is blathering about in the forest, then wakes up Kundry, and then encounters Parsifal. Music's great, but by golly, he goes on for a bit. Bernd Weikl in Act III of Meistersinger. 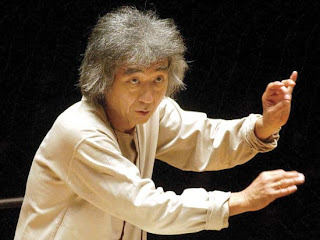 We here at Superconductor would like to wish an early Happy Birthday to Seiji Ozawa, former music director of the Boston Symphony Orchestra. The maestro, who has recently battled cancer, will turn 75 on September 1. Opera on the big screen at Lincoln Center. 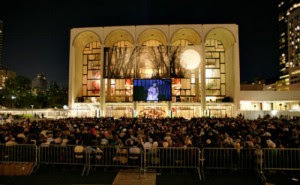 This week-long celebration of the voice will feature screenings of recent Met HD telecasts from recent seasons, all shown in Lincoln Center Plaza. The festival runs from August 28 to September 6. The schedule includes Tosca, Der Rosenkavalier, Les contes d'Hoffman and Carmen. Chairs are provided on a first-come, first-serve basis. Bring a seat cushion for the longer operas. Also, Met subscribers may order tickets to this season's slate of HD Broadcasts, starting today. More information is available on the official website of the Metropolitan Opera. One of the finest operas in the Metropolitan Opera's stable of productions is Richard Strauss' soaring Ariadne auf Naxos. A bizarre juxtaposition of Greek tragedy and rollicking Italian farce, Ariadne features one of the most scintillating (and difficult) arias ever written for a coloratura soprano. The aria is "Grossmachtige Prinzessin." The artist is Natalie Dessay. The performance was filmed at L'Opera Bastille. Dessay fans and Strauss lovers should take note that her spectacular appearance in Ariadne (in a cast that also included Deborah Voigt and Suzanne Mentzer) will be available (at long last) on DVD from the Metropolitan Opera next month. It is being released individually and as part of a box set celebrating James Levine and his 40th anniversary conducting at the Big House. And I can tell you that those performances were something to celebrate--I was there. So yesterday I decide to pay a visit to Academy Records. Academy Records, 12 W. 18th St. World's greatest record store. For those of you who don't live in New York, Academy is one of the finest of the few record stores left in our fair city. 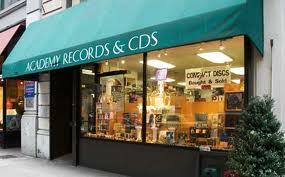 They deal in vinyl, CDs, DVDs, and all sorts of media. I trade in a few items from the collection, and decide to use some of my balance to add a few new things. One of the opera box sets I picked up was a 1989 recording of the 'Paris version' of Tannhäuser, the one conducted by Giuseppe Sinopoli with a very confused looking Placído Domingo on the cover. 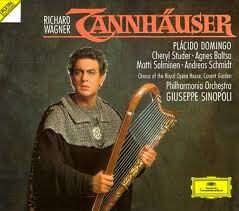 Although this was Mr. Domingo's second major Wagner recording on Deutsche Grammophon, he still looks confused. Maybe he's trying to figure out what to do with the harp that the prop guy handed him. So my partner and I are sitting in a cafe across the street from the record store (an actual cafe, not a Starbucks) having coffee and looking at the stuff we've bought. I leaf through the CD book that came with Tannhäuser and I find that Mr. Domingo has, at some point, autographed the booklet--right across his head-shot. The set from Act II of Tannhäuser. It was a nice surprise. And of course the music is gorgeous. I've been listening to Tannhäuser a lot lately--mostly the superb Daniel Barenboim recording of the 'Dresden version' of the score. Also, I broke out the 1980 James Levine-conducted version of the opera from the Met, which is a superb record of a traditional, full-on performance done in traditional style, right down to the Act II set which is based on the architecture of the Wartburg, the German castle where the second act takes place. We here at Superconductor would like to take this opportunity to raise a glass and wish a Happy 75th Birthday to the German director Harry Kupfer. Beginning his career in the theater in East Germany, Mr. Kupfer first drew the attention of opera lovers in 1978, with his surreal, nightmarish staging of Der Fliegende Höllander at the Bayreuth Festival. His vision of the work made Senta the center of the drama, as the entire opera took place in a nightmare which she was having. At the end of the work, she threw herself off the "cliff" and lay dead on the stage. A similar image opened Kupfer's next Bayreuth staging, a titanic 1988 production of the Ring cycle. Mr. Kupfer set the entire opera on a dark, mysterious "road of history" receding into the distance. This post-apocalyptic production showed gods, mortals and monsters interacting in a poisoned, ruined world. The world-ash tree was carbonized and ruined. Hunding lived in an underground bunker, and Mime's cave was half of a broken missile silo. Fafner's cave was a giant pothole on the "road", and the Rhinemaidens were reduced to living in a pumping station, their hair falling out from the poison in their river. Best of a ll, the final apocalypse in Götterdämmerung took place on television, watched mutely by a horrified humanity. Other notable Harry Kupfer productions include a Parsifal from Berlin which took place in a bank vault, a memorable Palestrina and his forthcoming version of Ariadne Auf Naxos. One of the most compelling CD releases of this summer is the complete recording of Ruggero Leoncavallo's opera I Medici, released in June on Deutsche Grammophon. Leoncavallo is remembered today for two things: writing Pagliacci and composing the unpopular version of La bohéme which was eclipsed by Puccini's version. I Medici (written before Pagliacci but premiered after its success) was bid for recognition as a serious, Wagner-style composer. It was to be the first part of Crepusculum, ("Twilight") a projected trilogy that would do for Italian history what Wagner's gods and Valkyries did for German myths. Later operas were to focus on the fanatic Savanarola and Cesare Borgia. 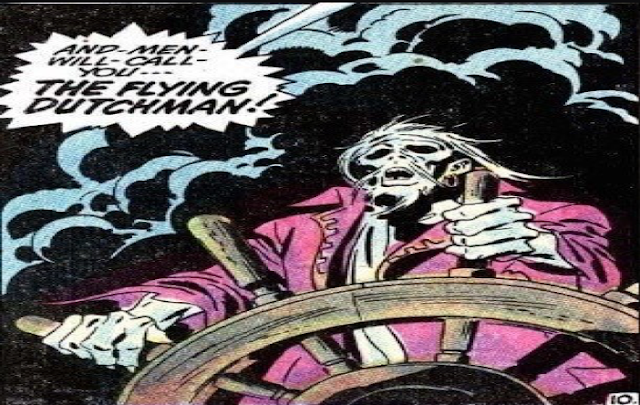 But when I Medici bombed, Leoncavallo set Crepusculum aside for other projects. What's left of the trilogy is a pleasing work, very much in the vein of "later" Verdi like Simon Boccanegra with an occasional tinge of the dark shadows of Don Carlos. The story is concerned with the Medici family, and the passion of Giuliano (Placído Domingo) for Simonetta (Daniela Dessi). The plot, (much like Verdi's I Vespri Siciliani) focuses on a knives-out massacre that is carried out in broad daylight. 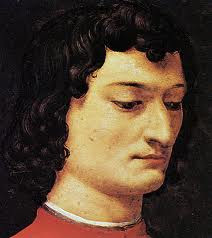 Its victim is Giuliano, who dies but is survived by his more famous brother: Lorenzo di Medici (Carlos Álvarez). This fascinating recording was made three years ago, and is issued as part of Alberto Veronese's ongoing series on DG exploring the "lost" operas of the verismo period. Placído Domingo was 70 when he recorded this, and sounds in fine, burly voice as he adds yet another notch to his belt. He gives a compelling performance as Giuliano di Medici. Daniela Dessi is blowzy and a little raw as Simonetta, but she fits the role well. Carlos Álvarez is compelling as Lorenzo. The singers are anchored by a strong chorus that digs into this music with genuine enthusiasm, producing some extraordinary effects in this very "public" drama. Although Fedora is planned as the next opera in this series for a 2011 release, one wishes that Mr. Veronesi would dig up the rest of Crepesculum and let Leoncavalo's magnum opus stand in the light which it so richly deserves. This is a "must" acquisition for fans of Mr. Domingo and lovers of Italian opera. Things have been a little quiet as your blogger is under the weather. But in the meantime, let us end the silence with the singing of more joyful tones. This is the Prisoners' Chorus from Act I of Beethoven's Fidelio, filmed at the Metropolitan Opera in 2000. This excellent production, available on DVD, stars Karita Mattila in the title role and Ben Heppner as Florestan. Fidelio is the story of a husband, wrongfully imprisoned by his political enemy. His wife dresses up as a man, gets a job at the prison, and rescues him from the dungeon where he is chained and scheduled to be executed. Although it remains Beethoven's sole excursion into opera, it contains some of his most inspirational music. There have been a number of recordings of this opera in the catalogue. But the stand-out (and the standard) is the set conducted by Otto Klemperer on EMI. In addition to Herr Klemperer's two-fisted approach to Beethoven. The man knew how to bring the weight of Beethoven's best music to the fore, and led it with inspiration. This EMI set was made at a height in the recording industry, and has an excellent cast. It is anchored by Christa Ludwig in the title role and the superb Jon Vickers as Florestan. In sheer luxury casting, the great bass Gottlob Frick sings the fatherly role of Rocco, and Walter Berry grows himself an impressive mustache in order to twirl it as the villain Pizarro. This is one case where a clear recommendation of one recording is so far ahead of the rest of the pack that it is the one to own. ater recordings of the opera have their merits, but are often let down by a sub-par performance in one of the key roles.